HEB is one of the most common grocery stores throughout Texas because they offer so much variety. In their bakery section, customers can even order custom-made HEB cakes to celebrate special occasions. HEB has many different cake sizes and types, so their prices do change a little bit depending on which options you select. The HEB cakes typically cost between $10 and $50 for a decorated party cake, and there are a lot of designs to pick from that can also affect the price. To learn more about HEB wedding, birthday, baby shower and graduation cakes, as well as how pricing works at HEB, keep reading this article. 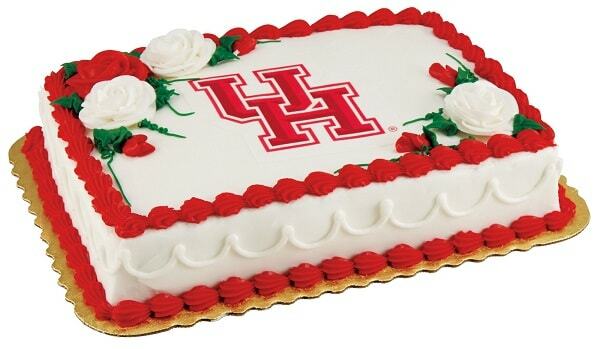 Whether you are celebrating a graduation, birthday, holiday, or other special events, HEB has a cake for you. They have plenty of readymade round cakes decorated with neutral designs that can be used at smaller celebrations. These HEB cakes come in fun flavors like pineapple upside down, Oreo, coconut, and Tres Leches. More personalized cakes can be found by ordering a customized sheet cake. When ordering HEB bakery sheet cakes, you can pick between six cake flavors, four frosting types, and five fruit fillings at no additional cost. HEB cakes can then be further customized with messages, unique frosting colors, and frosting designs. 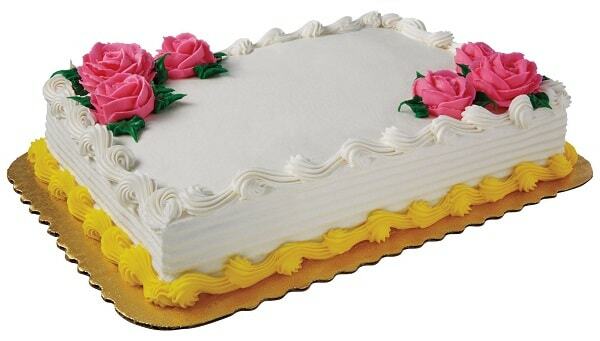 Many of HEB’s standard premade cakes can turn any birthday party into a celebratory event. The tasty round cakes come in gourmet flavors, and they can feed smaller birthday parties of around six. There are even plenty of festive cheesecake options if the birthday person does not like a normal cake. For big children’s birthday parties, you can celebrate with fun themed sheet cakes that feature characters from movies and television. 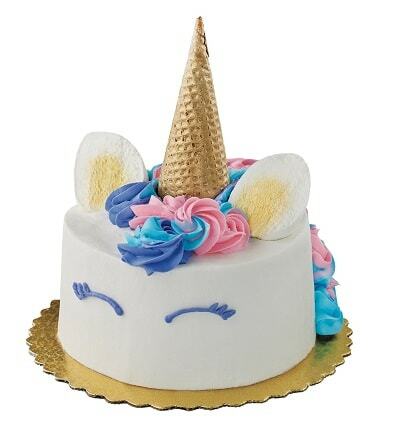 Girls can choose the beautiful HEB Unicorn cake, the Frozen Follow Your Heart Cake or the Disney Princess Belle Cake. Boys will be delighted with the Batman Chase Cake, the Star Wars Darth Vader Cake or the Spiderman with Light Up Eyes Cake. Smaller children’s parties can celebrate with individual HEB cupcakes. If you want to celebrate a birthday with a customized cake, HEB has six different frosting designs to choose from. You can pick balloons, flowers, swirls, Mexican papel picado art, or bows. Once you select your design theme, HEB will let you pick out your flavors, colors, and special messages. These customized HEB birthday cakes are perfect for unique parties where the standard designs would be too generic. HEB may not have any specifically baby themed designs, but a lot of their celebratory designs are great for celebrating the birth of a new baby. HEB’s floral and present shaped designs are especially popular for baby showers. They can be frosted in white and decorated in pastel colors to match your baby’s gender or to coordinate with the decor of the baby shower. To congratulate the new parents or welcome the baby to the family, ask HEB to include a message on the top of the cake. For smaller baby showers that do not require a huge sheet cake, you can impress your guests with HEB’s tasty cheesecakes or cupcakes. The Floral Cake, the Gift Celebration Cake,and the Swirling Floral Cake are all awesome HEB baby shower cakes. HEB has a lot of great cakes specifically for people graduating from or planning to attend one of Texas’ top universities. You can get cupcakes decorated with the school logo and frosted with the school’s colors to congratulate any college graduate. If you are having a party that needs more than just cupcakes, HEB also lets you customize their big sheet cakes to celebrate with all your friends and family. To make a sheet cake work for a graduation party, all you have to do is request icing that uses the graduate’s school colors and ask the bakery to write a congratulatory message on top of the cake. The balloon or papel picado banners look particularly festive for HEB graduation cakes. As you can see in the HEB wedding cake designs catalog, there are a lot of options for customized wedding cakes made by HEB. These cakes use the signature HEB flavors, but they all have beautifully personalized designs to match the theme of your wedding. HEB can create both traditional tiered cakes with elegant designs and uniquely modern cakes with unusual appearances. They even have fun groom’s cake designs if you want two cakes at your wedding. In order to get a wedding cake from HEB, you have to call the bakery and set up a consultation a few months before your wedding. Please keep in mind that HEB wedding cakes are only offered at these stores. 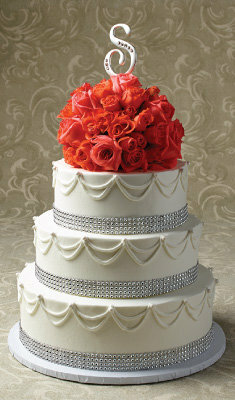 At HEB bakery you can find a wide variety of standard cakes that you can order for a party or special event. The HEB chocolate cake with fudge icing, the HEB red velvet cake with cream cheese icing, the HEB Italian cream cake with cream cheese icing are $2.98 per slice. Another delicious option is the HEB yellow cake with fudge icing that costs $2.98 per slice. 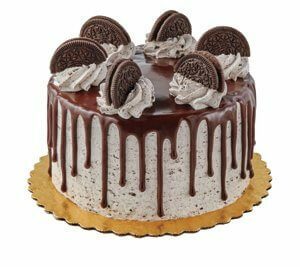 For smaller parties and celebrations, we recommend the HEB white cake with strawberry buttercream icing ($23.98) or the HEB chocolate cake with oreo icing ($23.98). HEB cakes can be ordered easily by going online. You can browse through all the HEB cakes options and then add your desired cake to the shopping cart. If you live close enough to a HEB store, you may be able to get it delivered. However, most customers will need to specify a pickup time and then go to the store to get the cake. You can also go to the store to order the cake in person if desired. To find the address and phone number for a HEB store near you, go to the HEB online store directory. HEB really excels at creating tasty cakes in a variety of yummy flavors, and their easily customizable designs allow you to use an HEB cake at any sort of special event. Have you tried a cake from HEB before? What do you think of the gorgeous HEB wedding cakes? What about the HEB graduation cakes? Comment below to let us know what your favorite flavor is!